One of the most powerful, ready to use, fast working tile cleaner products is Tileguard Tile and Grout Cleaner. It is a concentrated biodegradable cleaner that removes ingrained dirt, grease, grime and oil deposits without damaging the surface. Unlike most common cleaners, Tile and Grout Cleaner is non caustic and non solvent based, making it safer for the environment. It is ideally suited for use in bathroom, laundry and kitchen areas and is a great porcelain and ceramic tile cleaner. It is also useful for general purpose cleaning around the home or workshop. 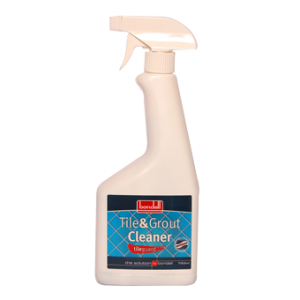 Find out more about Tileguard Tile and Grout Cleaner here. Posted in ceramic tile cleaner, Cleaners, floor tile cleaner, grout cleaner, porcelain tile cleaner, tile cleaning products.